Some time about 30 years ago, my son Brad was about 10 years old. If I recall correctly, I wanted to go someplace that didn't particularly interest a 10 year old, like a mall and I recall Brad telling me that he had a headache, something he undoubtedly learned from his mother. Without waiting or stalling or questioning why, I immediately responded, "You have to be 12 to get headaches", and he put on his jacket we never discussed it again, all the while me thinking how I pulled that off without a hitch. Fast forward 30 years and we're all at Max's hockey game on Sunday late afternoon about 6 PM. It was Brad and his wife Julie and Brad's business partner Maurice, who was stuck here for a layover, coming home from a business trip. 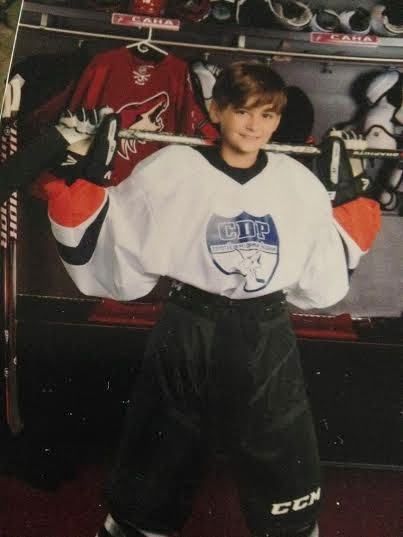 The hockey game was over, our team lost by one, a real nail biter and Max had spent Saturday night at a sleepover at a buddy's house, meaning he got little or no sleep. The plan was that we were all to go to a restaurant for a quick meal, when Max, who was fidgety said he had a headache. Without thinking, Brad looked at him and said, you have to be 12 to get headaches and looked at me and smiled. A chill ran through my entire body as I realized, I guess I didn't pull that off so many years ago! Is YOUR Costco, Like MY Costco?